I’m back again with another product review thanks to the awesome people at Speedlink for sending over their wireless gaming mouse which is called the FORTUS which is a pretty cool name! Little did I know that the name impressing me would be the first of many impressive things about this amazing product. Why is it amazing? I will go through that in this review by breaking it up into three different categories which is design, value and features. The FORTUS might be one of the best looking gaming mouses that I’ve ever reviewed. The mouse design looks unique in its build, the color gives it a look that it deserves your attention, and to top that it off it has LED illumination with four different colors. As you can imagine from these impressions that this is a very impressive looking gaming mouse. Okay so we know it looks good, but that is just half of the design impressions, it also has to be good in design when using it. 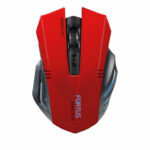 It’s a wireless mouse, and sometimes wireless mouses can be troublesome with connectivity issues which I had multiple times with other mouses, but the FORTUS doesn’t seem to have any wireless issues. Using the mouse is also comfortable with no issues that I can remember after hours of use. This is going to come at a shock after saying so many positives already, the price is under £28 which is an absolute steal of a price for a gaming mouse of this quality. I’m being serious in saying that I’ve personally used mouses that have reached near £100 prices that I didn’t like as much as the FORTUS. It’s extremely affordable, and for the quality you are getting, the FORTUS easily passes the value category. This might be one of the best gaming product deals that I’ve ever seen and reviewed. 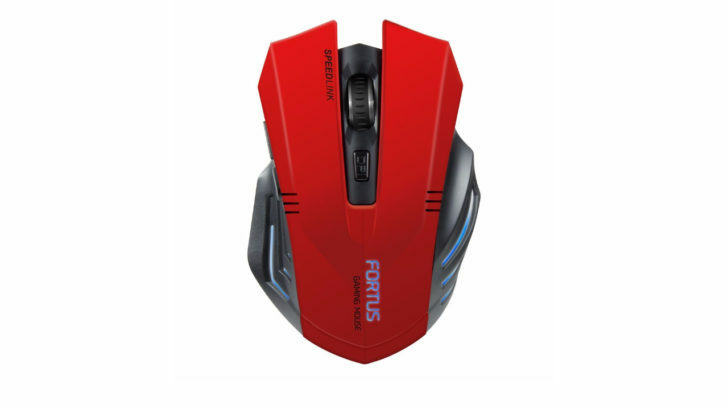 The price is extremely affordable for whether you are on a budget or want a good gaming mouse, if you want both then this is the gaming mouse for you. The design is incredible, there’s many features that help make it so good, and for that price, it 100% deserves your attention.